"Please sign our guest book. 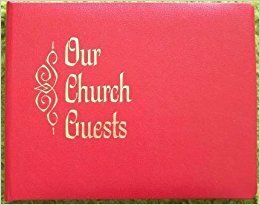 We'd like to get to know the good people that visit our church AND keep you/them aware of events... AND we'll make a donation to the xyz food pantry." We value names of interested people because we have something to offer. Invite your friends to church.